Paul Wissel is owner/president of Basketball World. 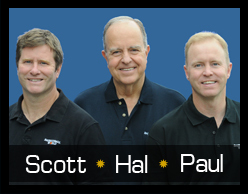 As president of Basketball World, Paul oversees the day to day operation of the company’s basketball camps, clinics, DVD production and website. Paul organizes and conducts Basketball World Camps and tours worldwide as a shooting instructor for SHOOT IT BETTER Mini Camps. The camps are conducted for players ranging from youth to NBA.Paul acts as executive producer for all of Basketball World’s instructional DVDs, including the recently released Dr. Hal Wissel: Basketball Shooting 5-DVD series. An outstanding shooter, Paul demonstrates shooting drills and offensive moves in all of Basketball World’s DVDs and is also featured on their covers. 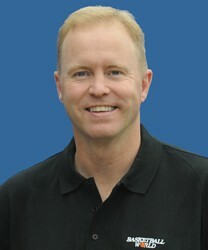 Paul was also the featured basketball player in the best selling book, Becoming A Basketball Player: Individual Drills. With the success of the book, Becoming a Basketball Player: Individual Drills was made into a series of 5 videos with Paul demonstrating all of the drills. Over the past 16 seasons, Paul has worked as an advance scout for various NBA teams including the Toronto Raptors, Boston Celtics, Denver Nuggets and Atlanta Hawks. As an advance scout, Paul was responsible for scouting upcoming opponents. Working closely with each team’s coaching staff, Paul advised the coaches on opposing team’s offensive/defensive tendencies, play calls and personnel. His scouting reports were a vital tool for the coaches as they prepared a game plan for each opponent. Paul is also a member of SAG-AFTRA. He works as an actor, basketball technical advisor and sports consultant for film and television. In 2000, Paul was cast as Assistant Basketball Coach in Columbia Pictures’ Finding Forrester. As well as acting in the movie, Paul helped in casting the prep school basketball players needed for the film. Paul invited many of his Basketball World campers to audition and participate in the film. Paul assisted in player workouts and consulted on the basketball portions of the film.